We had a head of broccoli that overstayed its welcome on the veggie tray. As you can see, its florets must have thought it's safe to come out and bloom! Indeed, I saw a few yellows here and there before I decided I should do something about it. It would be such a waste for the broccoli to end up in the bin but we did not have any dish on hand that needed this green veggie. And so I thought of doing a buttered broccoli side dish instead. 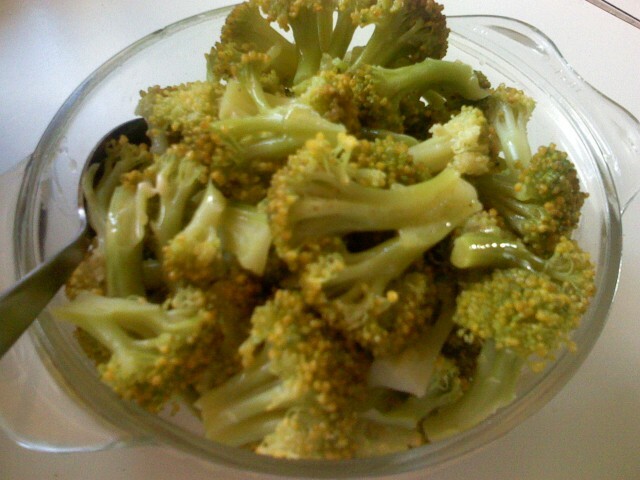 Of course, you don't have to wait for your broccoli to turn yellow before doing this dish. The fresher the veggie, the sweeter it is. 1 head broccoli, florets cut to manageable sizes. The stalk can also be peeled and sliced thinly. Boil salted water. Add broccoli and cook for around 3-4 minutes. Drain. 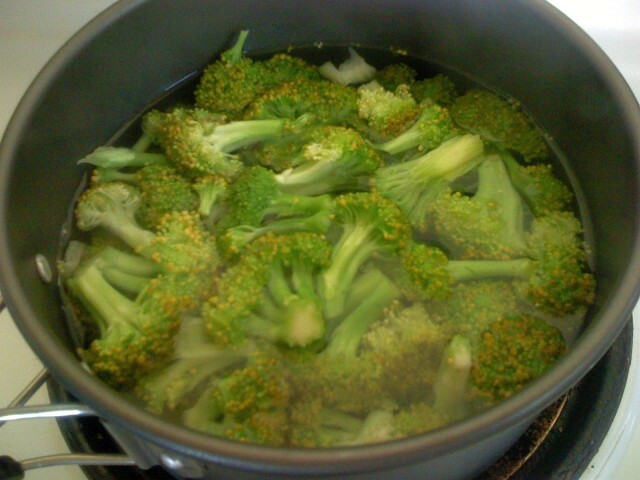 Return broccoli on pot and heat. Add the butter and toss for a couple of minutes until florets are coated. You may add a bit more butter if desired. Add salt and pepper to taste. Best served as a side dish, perfect with beef.